I'm Rachael Miller, the newest environmental policy intern at Save the Harbor/Save the Bay for the spring semester. I am an undergraduate student in my final semester at Boston University, studying Environmental Analysis and Policy with a minor in Spanish. environmental regulation, ultimately I decided a government office wasn't for me. It is the beginning of my second week at Save the Harbor and I can already tell it is a perfect fit! Before going to DC this summer, I had an idealized image of the EPA being aggressive in its mission to mitigate climate change and protect the many ecosystems in the United States. However, upon seeing the boatloads of hoops the EPA has to jump through just to make an inch of progress, I began looking at other organizations. 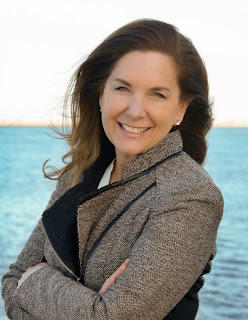 The main driving force behind my wanting to work at Save the Harbor was their history of success in improving water quality and cleaning up beaches in the Boston community. I was told I would have the opportunity to work on projects I truly cared about, and at the commencement of my internship I would be able to point to something and say, "I did that." For me, being able to see my impact is incredibly rewarding. Save the Harbor is gearing up for their event Shamrock Splash, and though I know the water will be freezing, I'm so excited to participate in an important fundraiser for the organization. I have spent some time getting the word out for registration. I am also working on a testimony in support of Representative Vincent's House Bill 771, which calls for the closure of Wheelabrator's unlined ash landfill in Saugus, by December 31, 2016. I am so thankful to immediately be working on an issue directly related to environmental policy and am looking forward to many more important projects at Save the Harbor this spring.